Well, it is that time again, time for The Secret Recipe Club. This time I got Plain Chicken . It is Steph’s blog. She is an accountant by day. A blogger extraordinaire by night, and an occasional weekend. I love this site. I just couldn’t pick what to feature. I love Meow Monday and Football Friday. 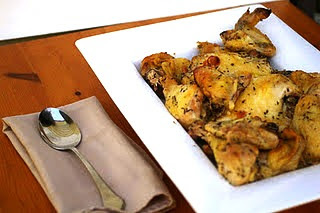 I made the Honey Lime Chicken and my family loved it. In fact, I never got to take a picture of it the first time I made it. It was gone that quick. So I had to make it twice. I didn’t grill it like in her recipe. I baked it. It is a bit to cold here in Virginia to do any grilling right now. I also used not only the breasts of the chicken, but all the other parts as well. I also decided to make her Lemon Pound Cake. In my zeal to get the cake in the oven, I used baking soda instead of baking powder in the dry ingredients. I realized my error as I was putting the dry ingredients in, so I just added baking powder to it. It was a very bad idea. The cake erupted like a slow moving volcano, down the side of my bundt pan and stopped at the bottom of my oven. Where it made my whole house smoke. Where it burned in the bottom of my oven. So I had to clean my oven. I cleaned the oven and made the Lemon Pound Cake again. This time I added the right ingredients. When I released it from the pan it came out like this. That is what I get for not greasing my pan. Even though the cake looked ugly, man did it taste good! It had just the right amount of lemony goodness. So when life gives you lemons make Lemon Pound Cake. I’ve made the baking soda/powder mistake before, too. Worse than that, once I grabbed corn starch instead of baking powder…cooking disaster! Anyway, your chicken and cake look fabulous. Great SRC picks. Veronica, that chicken looks so good and it must be if you didn’t get to take a picture the first time. I love that. I HATE when my bundt cakes won’t release from the pan . It’s such a pain in the neck! I saw this recipe at Plain Chicken but have never gotten around to trying it. It looks delicious and I know my family would like it too. 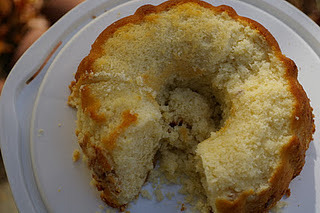 Despite the mishap your lemon cake look like it tastes great. I finally tossed my old bundt pan for a new nonstick one. I should have done it much sooner. Very nice SRC post. 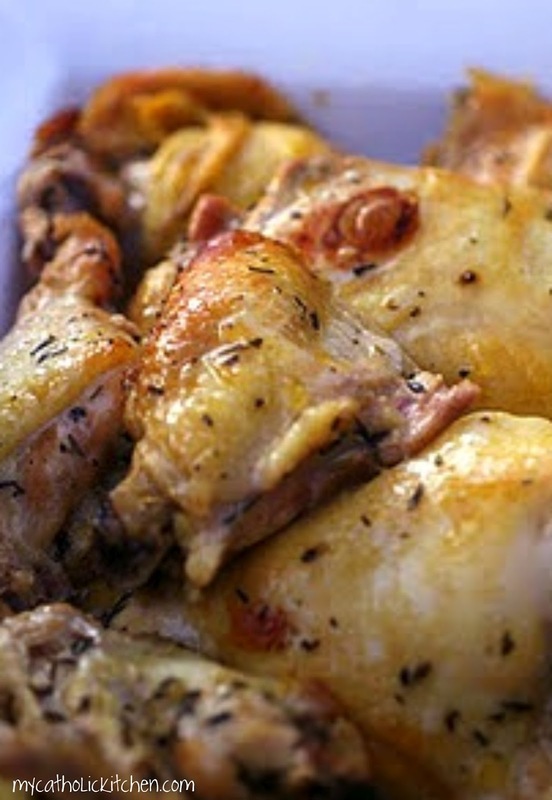 Don’t you love the SRC…a chance to try out some new recipes…and this chicken sounds marvelous. Great that it tastes just as good baked as grilled. And don’t we all have those kitchen stories where we’ve put in the wrong thing? Glad it was still tasty. Hope you have a marvelous Thanksgiving! So now I know there really is a difference between baking powder and soda! Bundt cakes can be so pretty but such a pain, too. 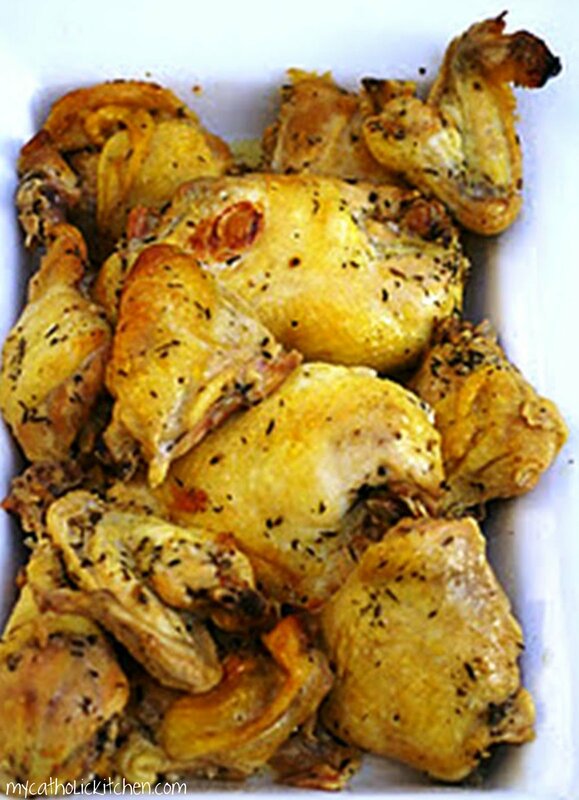 Your chicken looks delish! I made the same baking soda/powder before but didn’t realize it until I took a bite of my cornbread…blech! I had a couple of trials and tribulation for SRC also but in the end it was all good. Veronica…you have been busy! But what a gorgeous meal you made! The chicken looks fabulous as does the cake (I LOVE lemon pound cakes). You made some really great choices here! Honey Lime Chicken sounds like something we’d eat at my house any day! Thanks for sharing…and we ALL have moments when things don’t go quite as planned in the kitchen. For me? Especially when baking…I’m pretty certain to end up with batter all over me…or flour, or something! Ohhh poor Veronica….you tried girl! You should see what happened to my pumpkin bread! I was fanning the smoke and scraping the bottom of the oven before it got too bad! Love you! Great looking chicken and ultimately a great looking pound cake—who doesn’t love a great lemon pound cake. (This is the second one I have seen tonight.) I think its great when we share our little humorous mistakes (even when they don’t seem very funny at the time). Sorry about your oven. That chicken looks delish and I had to laugh at your baking mishap–I have done such things myself! I loved that you shared a success AND a failure. Just so real. Great SRC post! I get so frustrated when I make a soda/powder mistake. So sorry it didn’t turn out. The chicken looks and sounds wonderful! Great SRC selections! Sorry to hear about your pound cake mishaps!! Glad it still tasted delicious though. 🙂 That chicken looks like absolute perfection though – I bet the flavours were great together. 🙂 Good choices for SRC! Aw, too bad about your cake! We can’t win them all though. Have a lovely holiday! The chicken looks delicious and I think it’s terrific that you posted the cake pictures. Kitchen goofs make us realize that it can happen to anyone! 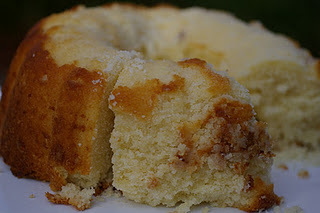 no matter how your bundt cake came out of the pan I’m sure it was still delicious! I love chicken of all kinds. Yours looks wonderful!